Boutsen Aviation has now sold 12 business aircraft in the first half of 2014. 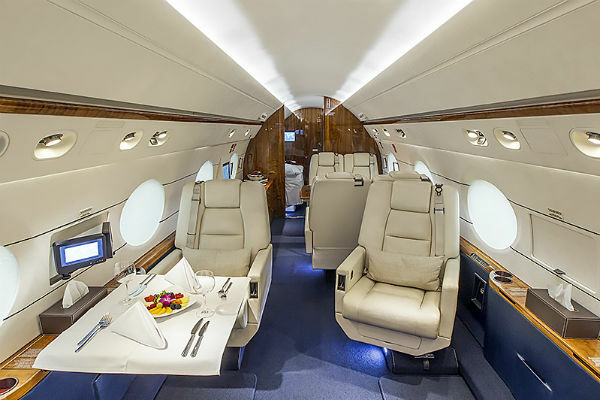 The Gulfstream G550 sold by Boutsen Aviation can seat 16 passengers. Boutsen Aviation, a Monaco-based business jet brokerage led by former Formula One driver Thierry Boutsen, has closed three pre-owned aircraft transactions since EBACE, which ran from 20-22 May in Geneva. In the same week, the company sold a 16-seater Gulfstream G550 (msn 5142), a 2004 Cessna Citation CJ2 (msn 200) and a 1996 Eurocopter AS355N helicopter (msn 5603). Corporate Jet Investor previously reported Boutsen Aviation’s sale of a Dassault Falcon 7X in June, and these three transactions take the company’s sales total for the year so far up to 12, representing a year-on-year increase of 10 per cent.